On October 9, Microsoft (NASDAQ:MSFT) announced a partnership with Grab, the Singapore-based ride-hailing service which has supplanted Uber in Southeast Asia. The deal should boost Microsoft stock over the longer term. Under the terms of the agreement, MSFT will invest in Grab and provide the company with cloud computing services. Microsoft and Grab will also work together on projects such as chatbots and facial recognition. “Our partnership with Grab opens up new opportunities to innovate in both a rapidly evolving industry and growth region,” said Peggy Johnson, Microsoft’s executive vice president for business development. Grab is one of Southeast Asia’s biggest startups. In March, Grab reported that nearly four million rides are now booked each day using its app. Grab expects to generate $1 billion of revenue this year. The company was founded in 2012 by Anthony Tan and Hooi Ling Tan, who are not related to each other. In March, Uber sold its Southeast Asian business to Grab in exchange for a 27.5% stake in the company. According to the Financial Times, Microsoft’s investment has boosted Grab’s valuation to $12 billion. Toyota Motor Corp (NYSE:TM) invested in Grab last year and doubled down in June, increasing its stake by $1 billion. Japan’s SoftBank Group Corp (OTCMKTS:SFTBY) and China’s Didi Chuxing are also major Grab shareholders. If Grab’s valuation increases, the value of Microsoft’s stake will increase. And as Grab expands, its demand for Microsoft’s cloud services will also grow. Finally, MSFT has strengthened its position in Southeast Asia’s fast-growing cloud market. Why Is Microsoft Investing in Grab? Indeed, Grab has expanded beyond ride-hailing; it plays a role in delivering all sorts of goods and services in the region, and it is active in transportation, food, payments, fintech, and healthcare. As Grab grows, so will its valuation and its need for cloud services. Those developments will boost Microsoft stock. Microsoft stock will also benefit from the company’s strengthened position in the region. According to research firm GlobalData, demand for cloud services in Southeast Asia will grow at a 27.7% annual rate through 2022. But MSFT is not alone. Other cloud companies such as Amazon.com, Inc. (NASDAQ:AMZN) and Alphabet Inc (NASDAQ:GOOG, NASDAQ:GOOGL) are also making moves in Southeast Asia. Alphabet brought its Google Cloud platform to Singapore last year and expanded its capacity there in May. In October, Alphabet announced that it would be opening a Google Cloud zone in Indonesia. Grab’s biggest rival, the Indonesian ride-hailing service Go-Jek, uses Google Cloud. Microsoft is actually following in Alphabet’s footsteps, since Alphabet invested in Go-Jek in January. In September, Amazon Web Services announced that it would beef up its presence by investing $1 billion in Indonesia. Alibaba Group Holding Ltd (NYSE:BABA) is also interested in Southeast Asia. In August, Alibaba Cloud held a conference in Singapore, its first outside of China, and increased the range of its services that are available in the region. Microsoft should watch out for Alibaba; according to Synergy Research, Alibaba is the world’s fastest-growing cloud vendor. Tech stocks like MSFT have suffered over the past few weeks amidst rate hike and trade war fears. The price of Microsoft stock is currently $109; MSFT stock hit its 52-week high of $116.18 on October 3. 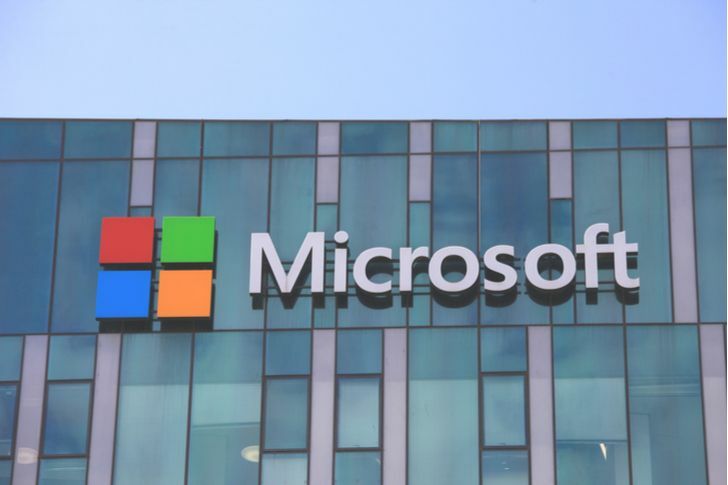 InvestorPlace contributor Luke Lango sees the recent slump as an opportunity to buy Microsoft stock. I think Microsoft’s decision to invest in Grab will boost MSFT stock. Microsoft is one of my favorite tech stocks. In February, I wrote about some of Microsoft’s advantages. First, Microsoft has a diversified revenue stream, unlike other tech companies, including Alphabet and Facebook, Inc. (NASDAQ:FB), which rely heavily on advertising. Second, MSFT has a strong position in three cutting-edge technologies which will have a massive economic impact: artificial intelligence, or AI, blockchain, and quantum computing. Microsoft is second among the FAMGA companies (Facebook, Apple, Microsoft, Google, Amazon) in AI patents, according to CB Insights. A survey by Juniper Research last year ranked Microsoft second only to IBM (NYSE:IBM) in blockchain, the technology behind bitcoin. Cryptocurrencies have suffered this year, but the underlying technology will still have a major economic impact; IHS believes that blockchain will create $2 trillion in value in 2030. Microsoft is also working on quantum computing, a technology which could revolutionize fields like medicine and IT security. Specifically, Microsoft recently added a chemical simulation library to its Quantum Development Kit and opened a quantum materials lab in Denmark. If these bold bets on technology pay off, MSFT stock will definitely reward investors. As of this writing, Lucas Hahn was long bitcoin. Article printed from InvestorPlace Media, https://investorplace.com/2018/10/microsoft-stock-poised-to-benefit-from-grab-investment/.